Sometimes people want to ship their trucks but they don’t know how they can find a reliable shipping company. San Diego Auto Shipping is specialized in almost all kind of vehicle transport. We transport any vehicles started with cars and buses ended with military equipment. San Diego Auto Shipping can help you to ship any kinds of trucks despite the size of the truck. Our company has helped numerous people with shipping their big trucks across 50 states of the U.S., including Alaska and Hawaii. San Diego Auto Shipping transports all kinds of trucks no matter it’s a semi-truck, lunch break, bucket truck, sweeper truck, tractor, garbage truck or an ice cream truck. 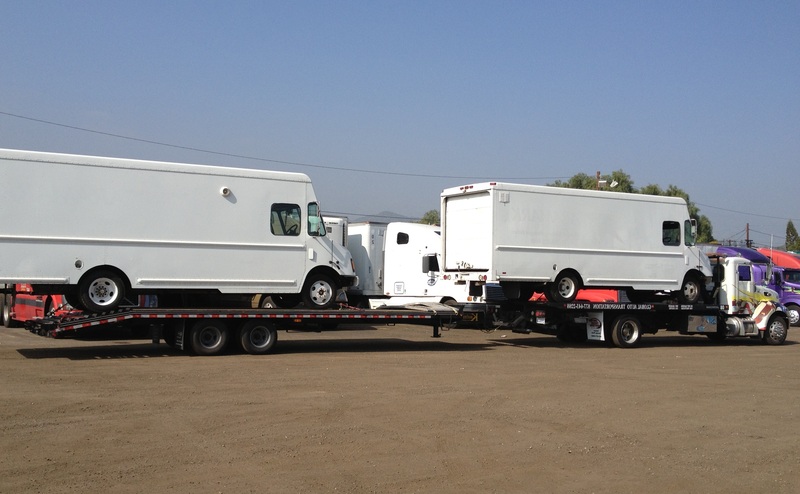 At San Diego Auto Shipping our trucks are intended for any kind of truck shipping. Moreover, we use a special deck trailer when dealing with oversized truck shipping. In addition, we have lowboy trailers for your bigger truck as well. Besides, we can haul any kind of truck no matter it is running or non-running. San Diego Auto Shipping team consists of well-experienced as well as skillful staff. Our long years in the car transport industry made us real experts in the field. Therefore, we do our best to make our customers pleased with the services we provide them with. Moreover, with us all kinds of car shipping services are available: door-to-door, open, enclosed as well as expedited. At San Diego Auto Shipping we provide our customers with cost-effective prices together with high-quality service. We offer competitive prices in the auto transporting industry. You don’t need to worry about the safety of your truck when you ship it with San Diego Auto Shipping. We provide full insurance to every truck we ship. This means that since the moment we pick your truck up we become responsible for that until we will deliver it to you. Just let us know where your truck needs to go and we will take care of its safe transport!